Joey and Action provide the untagged version of their track from the XXL Freshmen compilation. 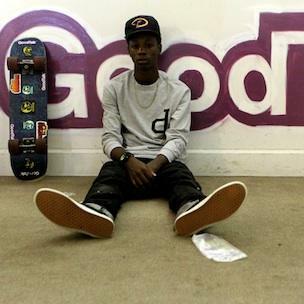 Listen to Beyond A Reasonable Doubt (CDQ), the new track by Joey Bada$$ featuring Action Bronson which was dropped on Friday, May 3rd, 2013. Joey Bada$$'s odds keep getting better with each new leak, and Beyond A Reasonable Doubt (CDQ) will undoubtedly improve his chances of winning. It's a worthy addition to a respectable catalogue that has seen a lot of growth since Joey Bada$$ debuted in this game. We're looking forward to the follow-up. Check out Joey Bada$$ on Word Is Bond (Prod. By Statik Selektah). If you're down, make sure to visit Joey Bada$$'s profile page for the newest info, news, songs, and mixtapes. Make sure to hit Joey Bada$$ with a follow and/or like on Facebook and Twitter. We out here, bout a 90's rap niggas ouches"